Screen Printing (AKA silk screening, serigraph) began over a millennia ago during the Song Dynasty in China. Within the past 100 years, however, this printmaking technique has been widely utilised in the western world by artists and commercial processes alike, making it possibly the most common form of modern printmaking. Screen Printing is the process of creating an image built up with different colour layers, which has it's origins in ancient stencilling techniques. The name screen printing/silk screening finds its meaning through the use of silk or synthetic mesh stretched around a wooden or metal frame. To create the image layer, light-sensitive emulsion is applied to the screen; once dried the image is placed on top of the emulsion layer and is exposed to high levels of UV light; this 'sets' the emulsion around the artist's design leaving the masked area unset. This unset area is then washed away leaving a very accurate outline of the artist's design. Once cleaned, the screen can be exposed again to help make sure that the emulsion is fully 'set'. When this part of the process is complete, the screen can now be used as many times as needed. To begin the printing process, the screen is fixed to a screen bed with a hinged bracket, which allows the printer to raise and lower the screen between prints. Tape is used to border the design and to mask out any areas of the screen that you do not want to be contacted by the ink. Once the screen has been fully prepared, ink is applied directly to the taped area of the screen and using a 'squeegee' the ink is dragged over the stencilled image; the ink is forced through the mesh and onto the paper, wood, plastic, fabric underneath the screen. As the 'squeegee' passes over the image, the taught screen lifts away from the paper leaving the the desired image. This can be done as many times as needed, as long as ink isn't left to dry in the gaps in the mesh. It is common that this process of preparing the screens will need to be repeated several times for each full design, as each colour needs to be prepared separately. In the early 1900's an Englishman named Samuel Simon patented the first screen printing machine; the main use of which, was to create luxury wallpaper on silk and cotton using cut stencils and push the ink through the screen with a brush.. In these early days of western screen printing, many of the techniques and processes were kept as closely guarded secrets of industry and it wasn't until three San Francisco based print-makers, Charles Peter, Roy Beck and Edward Owens experimented with photo-reactive chemicals and photo-imaged stencils in 1910's, that significant and progressive developments were made. No longer were techniques kept secret and screen printing became an extremely popular commercial and artistic practice, free to progress and expand. 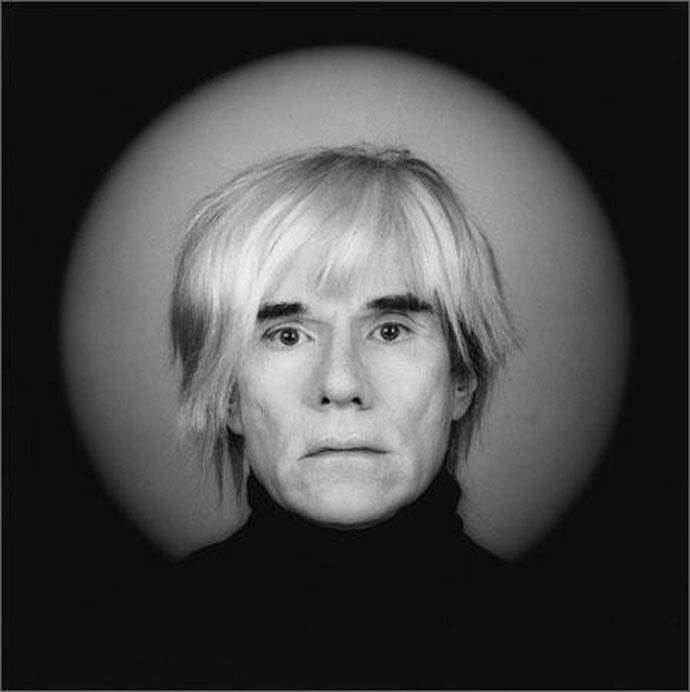 Pop artist, Andy Warhol's name is synonymous with screen printing or 'serigraphy' (the term used by artists to separate their work from the commercial process). In the 1960's he championed the technique creating iconic images, which are still widely regarded as highly influential, revolutionary works of art. One such artwork, 'Marilyn Diptych' 1962, boosted Warhol's work into the mainstream. Weeks after Monroe's death, Warhol produced 50 replicated images of a publicity photograph from her starring role in 'Niagara'. The transition between the bright, colourful left side and the monochromatic, fading right side evokes themes of mortality, celebrity culture, and the futility of which. 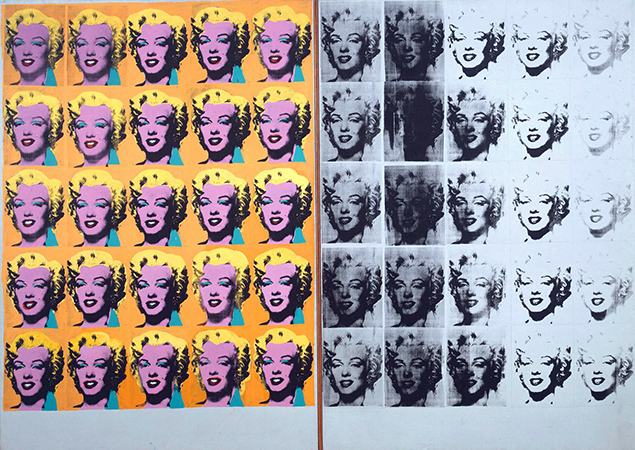 Warhol's choice of using screen printing lent itself perfectly to his project and allowed more meaning to be taken in; watching the iconic visage of Marilyn Monroe shine brightly and then fade almost completely into a ghostly image. The power in this piece is magnified by Warhol's use of repetition, reflecting the corporate consumerist nature of advertising, repeating images again and again until they become old, ineffective and of no use. This is a great example of how screen printing can be used, not only as a means of creating multiple prints of an existing artwork, but as a legitimate artistic process for the fabrication of new original work. This entry was posted in Articles, Artists and tagged silkscreen, printmaking, screen printing, serigraphy, andy warhol on February 24, 2017 by Steven Peebles. A very interesting and versatile way to make multiple prints of drawings and painting-like images. 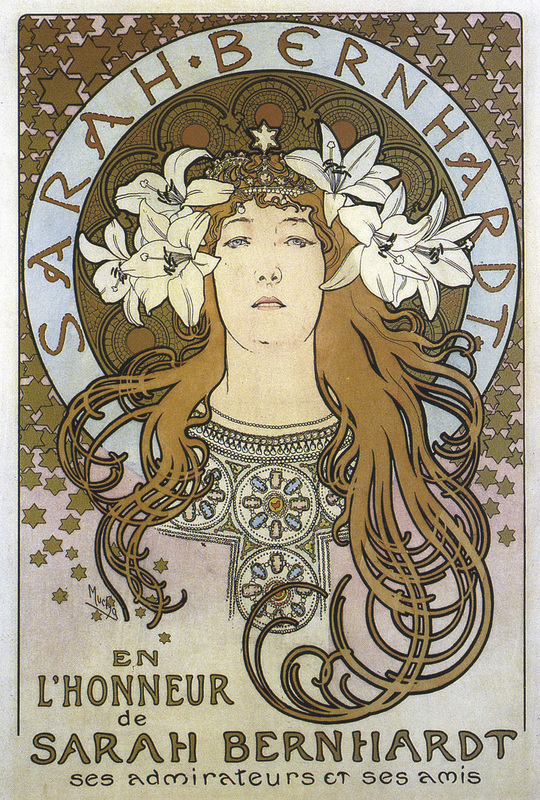 Lithography is also responsible for the well-known Moulin Rouge posters, and the decorative advertisements of Alphonse Mucha, or the haunting images of Edvard Munch. While lithography might not be the easiest method of printmaking, people do make versions of it for those who don't have a proper printmaking workshop at hand. 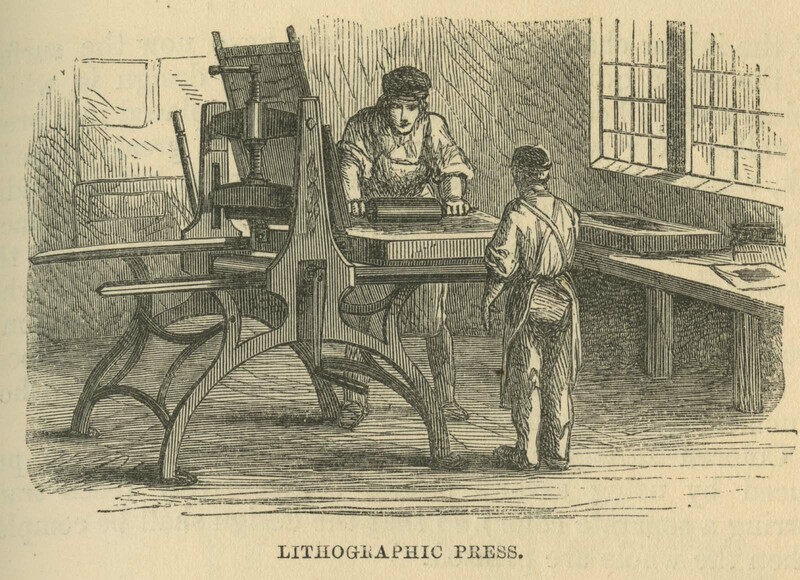 What is the meaning behind Lithography? The word lithography means “writing with stone” in Greek, which refers to the process of printing with a flat stone surface. (In other words called planographic technique as the printing image is on the same level as the non-printing surface.) Essentially, lithography uses a greasy substance to reach water-repellence and adherence at the same time, making it a great technique for multiplying detailed drawings and sensitive tone effects. The German born Alois Senefelder (1771-1834) invented the technique that now we know as lithography in the 1790s. He was an actor and playwright who wanted to get more profit by reproducing his texts – which made him interested in the development of a suitable printmaking process. Since copper plates that they used for printing were too expensive to make mistakes with creating the reversed image, he decided to experiment with cheaper Bavarian limestone. The process he discovered through his experimentation was the following: he used the fluid to correct mistakes in the drawing, which also happened to provide a water resistant surface, which then could be drawn on with oil-based ink. Senefelder also discovered the method to transfer images onto the stone, thus making it possible to create prints with the image on the right side up. After Senefelder’s publication of A Complete Course of Lithography the process became popular, and the new endeavour was to begin creating coloured lithograph prints. The first attempts achieved watercolour like tones by using one or two colours. For detailed colouration, artist still had to do this by hand after printing. Chromolithography became more widely used and cheaper by the 1880s, as printing presses became steam-operated, allowing lithograph prints to be used for magazines and advertising posters. Drawing tools that can be used for drawing on stone slates should include grease, such as lithographic crayons, rubbing blocks, tusche (grease and water). After the drawing is finished, the image should be dusted with french chalk for protection. After the drawing is done, the stone has to be processed, which method depends on the drawing materials and grease already on the stone. The image on the slate is fixed with the use of the etch, which is a mixture of gum arabic and nitric acid. This material is responsible for the creation of a water receptive (hydrophilic) and water repellent (hydrophobic) area; thus the non-image area remains clear while the image will become receptive to ink. This process has to be repeated. The first layer has to be applied carefully with clean tools, then thinned down with a sponge before drying the gum. 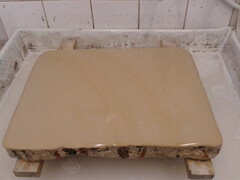 After leaving the stone covered for a night before applying the second layer. The next step is to remove the drawing materials from the stone with the use of plain gum arabic and then turpentine. The excess and the gum arabic should be wiped off with a damp cloth, leaving the stone only slightly wet. The image is then dusted with french chalk, and the second etch can be applied. After the stone is dry, it can be printed after a few hours. 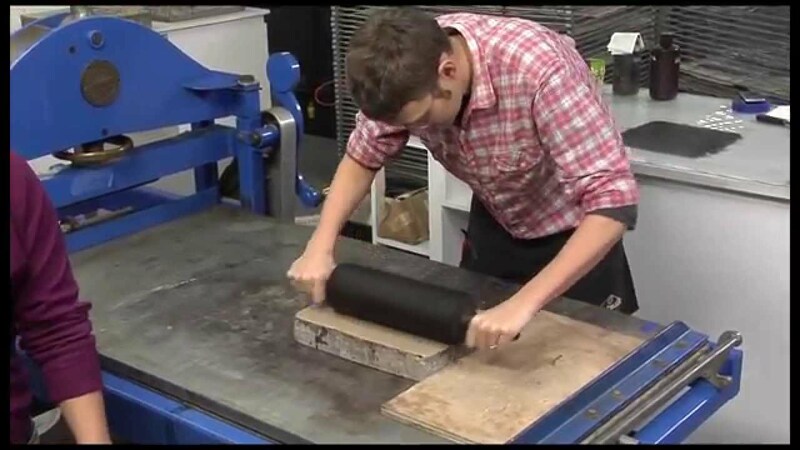 Greasy printing ink is applied onto the damp surface with nap or glazed roller. Usually the first few prints aren’t good representations of the image, as the slate needs to go through multiple inking processes. For the well-inked plate, pre-damped paper should be used for the prints. After the printing is finished, the stone has to be cleaned off before new images can be drawn onto the surface. It is done by graining the stone, a process that removes the grease from the surface, and exposes the new, chemical-free stone. Oil patch cleanser is applied onto the stone and has to remain on for half an hour. After that it is scrubbed off with a scourer. 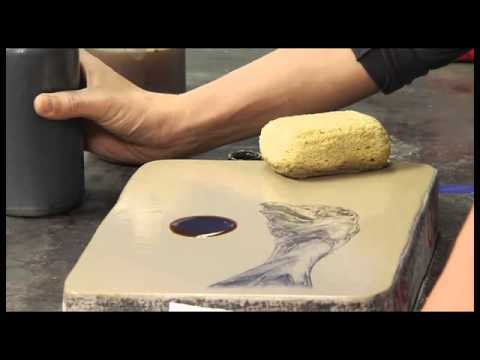 Carborundum grit is applied three times (coarse, medium and fine) on the wet slate, each time washed off with Vim with a small piece of litho stone. Printmaking using Plaster of Paris -- No press or paper required! This entry was posted in Blog Home, Articles and tagged printmaking, lithography, ink on February 23, 2017 by Zsofia Jakab. Have you seen the brand in the shop, but not sure it is suitable for your work? Curious how can Maths and Vincent Van Gogh be in the same sentence, or intrigued how much has he actually cut off of his ear? Come along and admire the “tortured genius’s” works! Van Gogh worked as an art dealer, and was fairly successful. Since he couldn’t really bear to do his art dealer job, he became a preacher south of Belgium. Van Gogh was dismissed because of his exaggerated religiousness, and moved back to his parents’ home and began learning to draw. Mostly in his lifetime he was too poor to afford models, therefore he practised by painting self portraits. 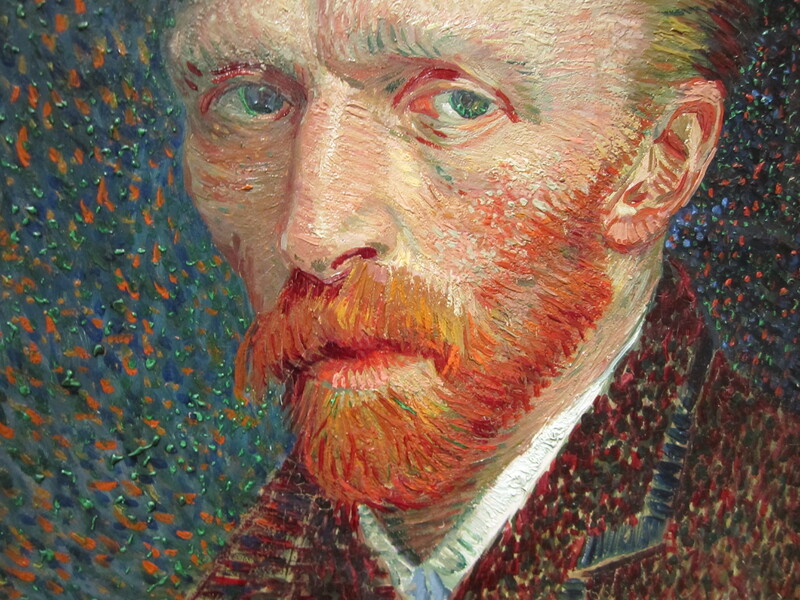 Later in his life Van Gogh started attending the Academy of Fine Arts in Antwerp. However, as the academic environment didn’t appeal to him, he went to Paris after a year. Van Gogh spent some time with his friend Paul Gauguin working in a shared studio. However, as he suffered from numerous mental and physical illnesses, during one of his epileptic seizures he tried to attack Gauguin with a razor, which resulted in him cutting off his earlobe. After a while Van Gogh was well enough to return to the outside world, but his depression got considerably worse when his brother, Theo, could no longer afford to finance him. 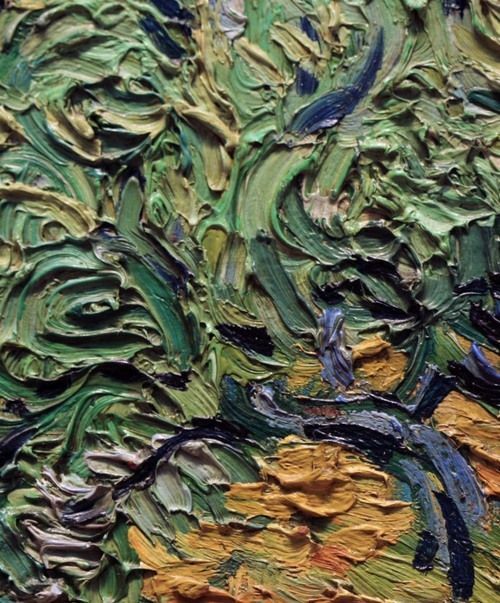 It was believed for long that Van Gogh committed suicide by shooting himself in a field, however, a recent study claims that in fact his death could have been the result of his encounter with two drunk boys who had a malfunctioning gun. What is certain that Van Gogh died two days after being shot, and according to his brother, his last words were: “the sadness will last forever”. Theo died six months after his brother, and it was his wife who pursued galleries and art dealers to get Vincent Van Gogh’s paintings recognised. It turned out successful, as while van Gogh only sold one painting in his lifetime, he became famous after this death. The later, most well-known style of Van Gogh is supposed to be that of Post- Impressionist. Post/Impressionism wasn't really a movement like impressionism, it was more of a response to the strict rules of the style. 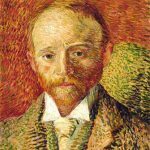 Painters who identified as 'Post-Impressionists', put more emphasis on the spiritual, symbolic and emotional expression, thus creating completely unique works determined by each individual painter's persona. Pointillism is a painting style most characteristic of Georges Seurat - but Van Gogh made attempts to recreate it in his own way as well. Pointillist paintings are made up of (tiny) dots of paint out of the tube and placed next to each other - this way eventually the dots seem to blend together and give out the forms and colours. This technique creates a somewhat 3D effect as the paint is applied heavily on the surface. This entry was posted in Blog Home, Videos, Articles and tagged van gogh, impasto, impressionism, postimpressionism, pointillism, lovingvincent on February 8, 2017 by Zsofia Jakab.